The greatest weapon against a serial killer? A girl with no fear. And it isn't part of some FBI training exercise. Late one night, in the middle of a rainstorm, Gaia and her roommate stumbled upon an actual killing. Since they were the only ones to glimpse the perp, headquarters has granted Gaia and Catherine temporary FBI badges to solve the case. Way to hit the ground running. But the investigation is not like a TV show. It's gruesome. It's frustrating. It's real. When the killer strikes again, they realize this isn't a one-shot deal either. Gaia tries to piece together some clues, but there's no real lead to go on. And without a profile, the next victim could be anyone. Anyone at all. 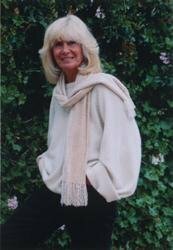 Francine Pascal is the international best-selling author of SWEET VALLEY HIGH. She currently has sold over 260 million books. Gaia Moore is her new, complex character, bursting on to our streets.